"The Israel Defence Forces have begun striking Hamas terror targets throughout the Gaza Strip," the military said in a statement. 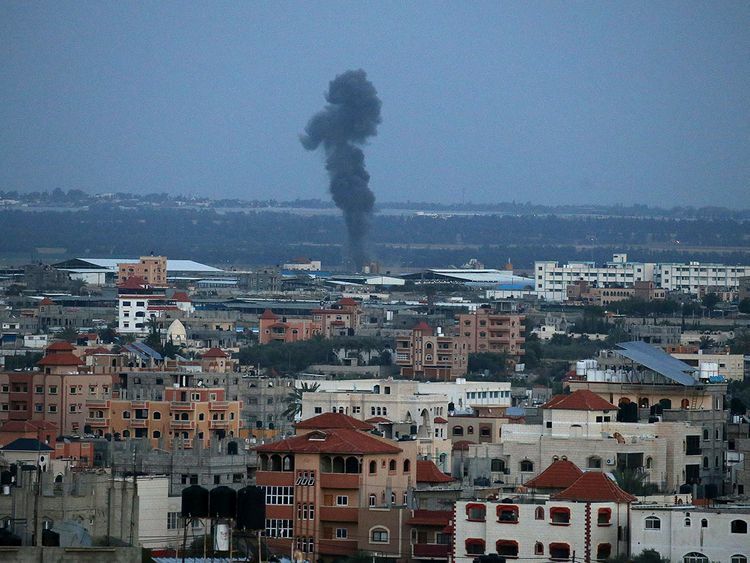 Palestinian security officials said Israeli warplanes attacked targets across the coastal enclave. Palestinian radio stations and Hamas TV played patriotic songs calling for "resistance" against Israel. There were no immediate reports of casualties in the Gaza Strip. Many targets were likely to have been evacuated in the hours following Netanyahu's initial warning of retaliation shortly after the rocket strike. Condemning the attack from Gaza, Trump told reporters with Netanyahu at his side that Israel has the "absolute right" to defend itself. "Israel will not tolerate this. I will not tolerate this," Netanyahu said about the rocket strike. "And as we speak ...Israel is responding forcefully to this wanton aggression." Israel's Magen David Adom ambulance service said it treated seven people in the Israeli village, including an infant, a 3-year-old boy, a 12-year-old girl and a 60-year-old woman who was suffering from blast injuries, burns and shrapnel wounds. "It just made me feel really unsafe all of a sudden, which is a feeling I'm not used to," said Nitzan Shifrin, a 19-year-old resident of Mishmeret.